I love making baby & kids toys and quilts and have made several as gifts or for friends wanting gifts. I make balls with squeakers and rattles in them, cube block toys, tag blankets, and quilts. As you can see below you can also get these toys or quilts personalised with anything you want. I like to reuse brown paper to wrap my gifts in, and attach a up-cycled label ‘Made by Becky’ that I make from reused paper. I have just brought some new fabrics to make more toys and quilts and am hoping to be at one of the markets this christmas. I will also be making some animal toys inspired by Whistler. Contact me if you would like a gift for a baby you know or for your own baby. Fabric stacking cube shaped blocks for babys. Annabel with her Fabric stacking rings fabric baby ball toys. Three fabric baby ball toys made for Annabel. Fabric stacking rings baby toy and three fabric baby ball toys made for Annabel. Isobel enjoying her cube block toys. Set of three balls for Avi, grey, yellow and white. 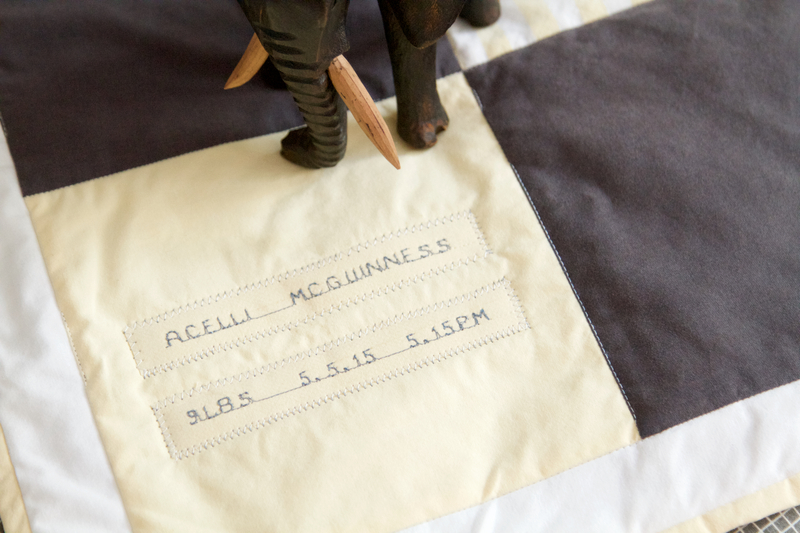 Acelli McGuinness’ quilt, personalised with her name and birth detail. Grey stitching on yellow fabric. Made from up-cycled fabric. The finished quilt. Blue and white mountain quilt. Made from up-cycled fabric. Deer baby ball toys with rattles and squeaker for Mev. 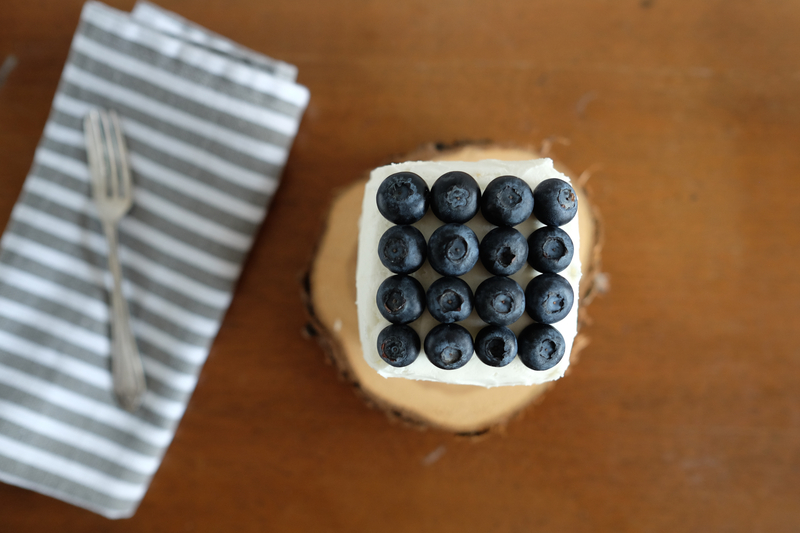 I made my friend a birthday cake and I wanted to try a new chocolate cake recipe. I found this delicious chocolate cake with chocolate ganache. 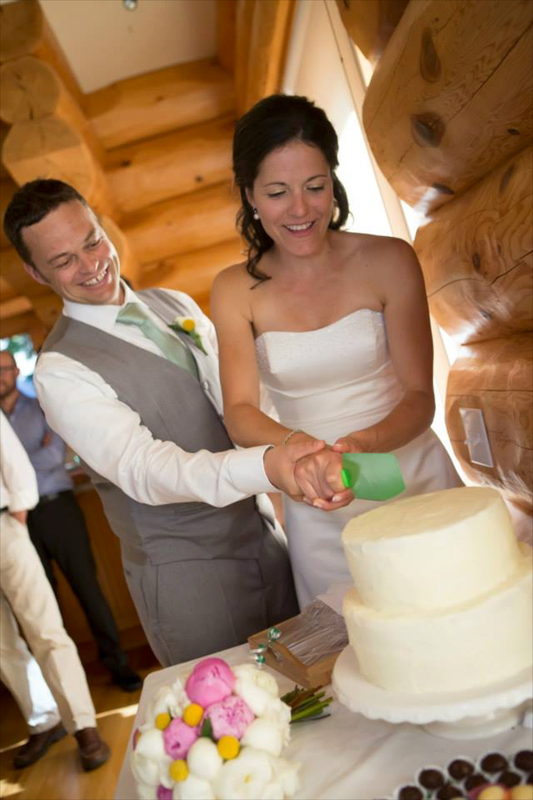 It is the best chocolate cake I’ve ever tasted! 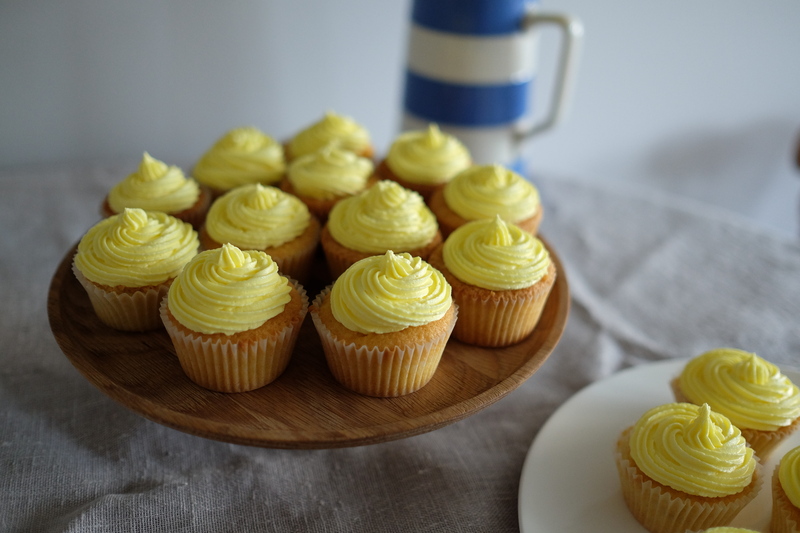 If fact the whole thing went very quickly because it was so delicious! 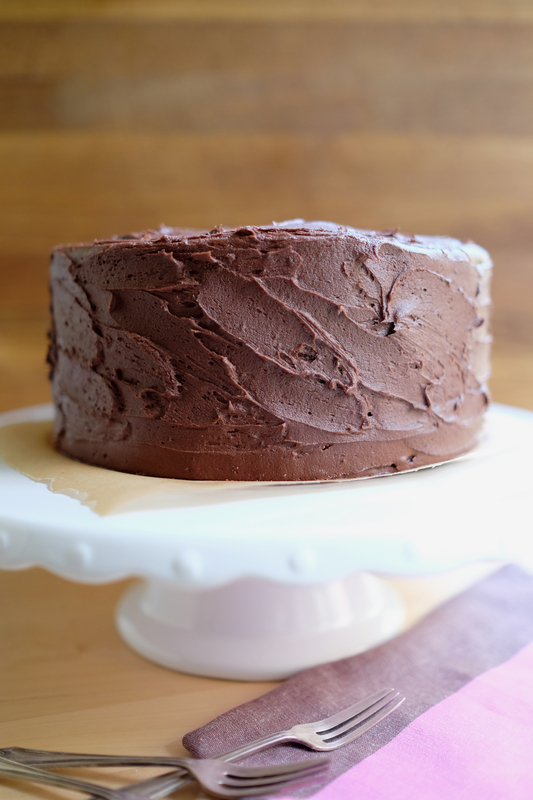 This is definitely my new go to chocolate cake recipe. 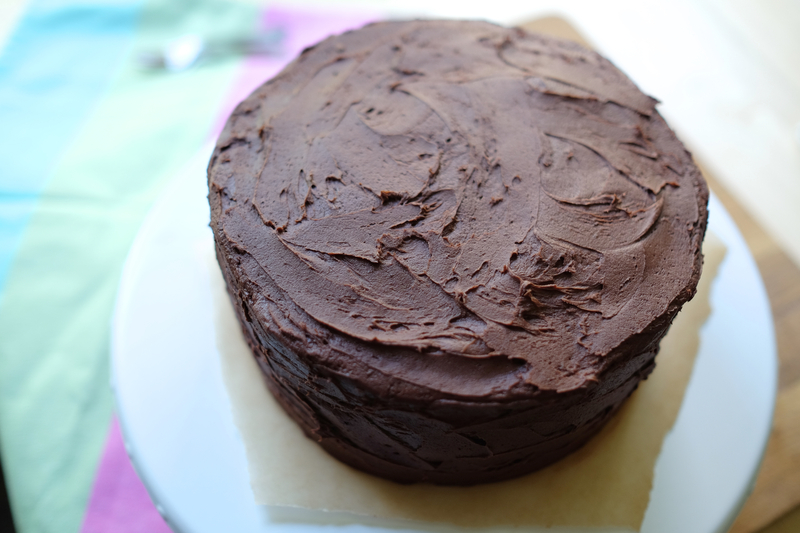 Delicious chocolate cake with chocolate buttercream icing. 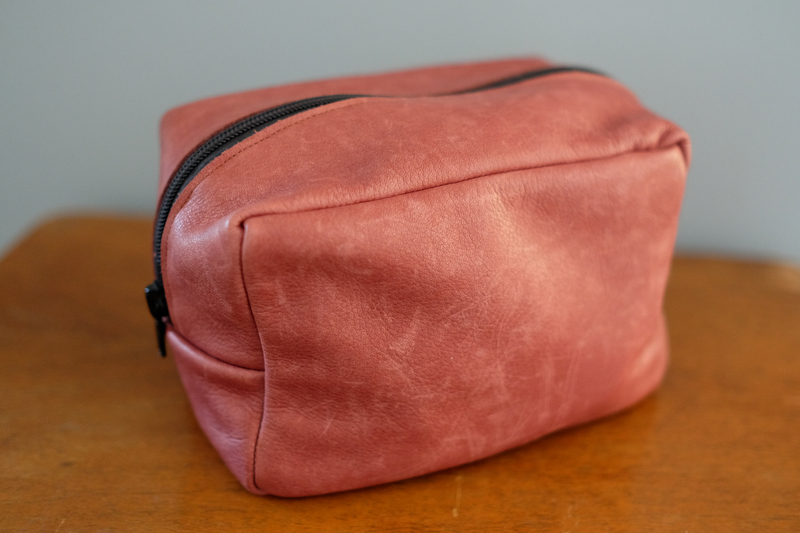 I needed a bag to keep all my many wires tidy and together, so I made a small bag/pouch to keep them in. The leather was from a friend that had cutoffs from a leather furniture company. The zip goes down the side of the bag half way making it more accessible inside. I am going to make some of these bags out of other materials to see what works well. Although I use this for my computer wires, it could be used for anything; makeup, pencils, crafts etc. 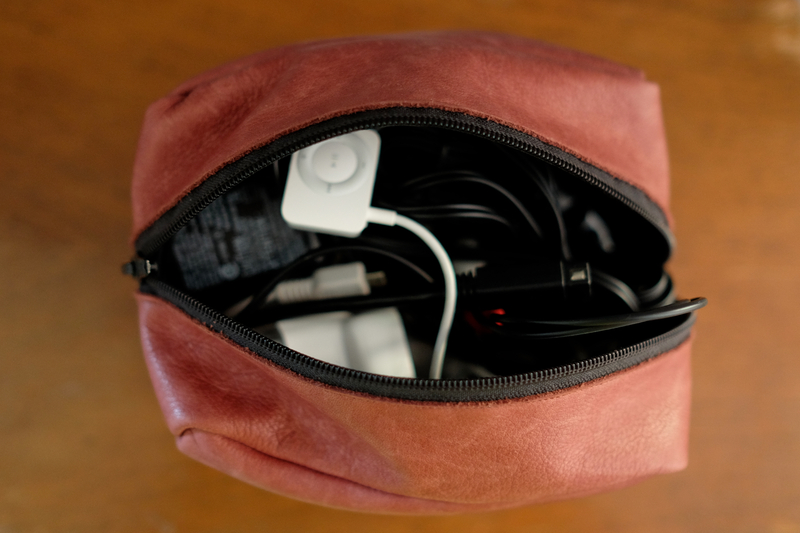 Open top of leather bag with wires inside. 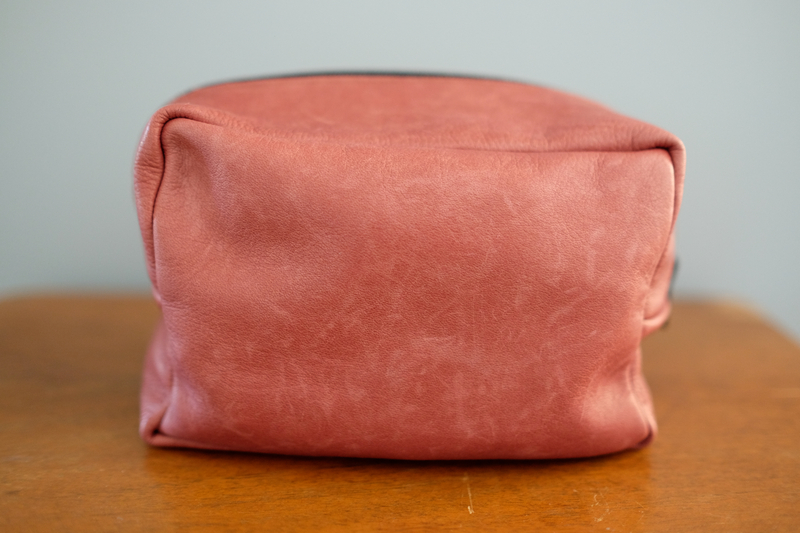 Side view of leather bag. 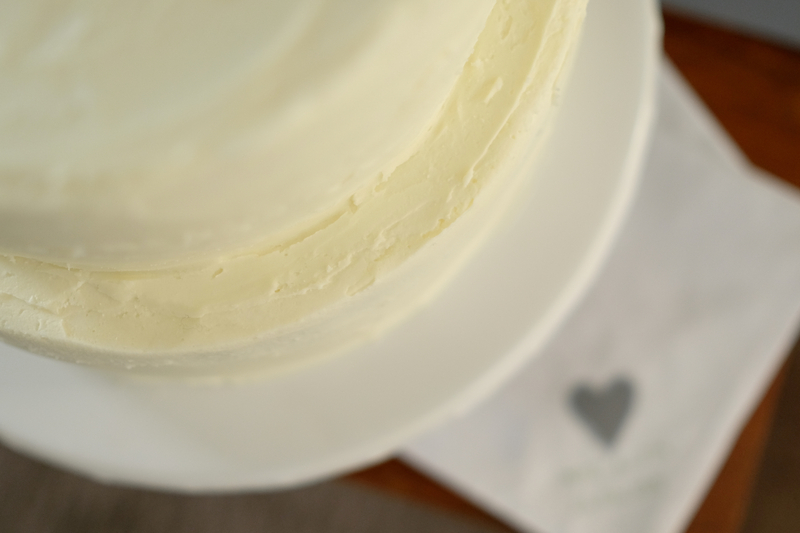 Friends Maz and Tim got married a couple weeks ago and I made their wedding cake. 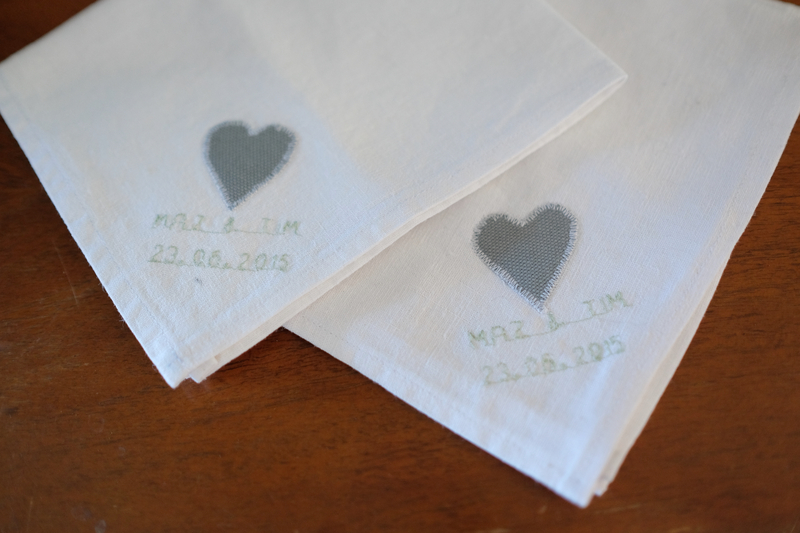 I also made them some personalised wedding napkins as a gift, with their names and the date they got married embroidered on them. I also stitched a grey heart on the pair of them. 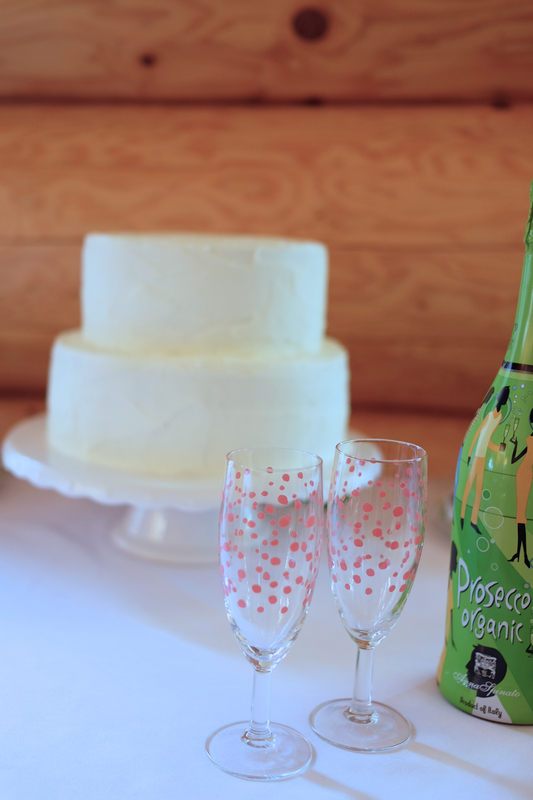 This makes a great memory, personalised gift. 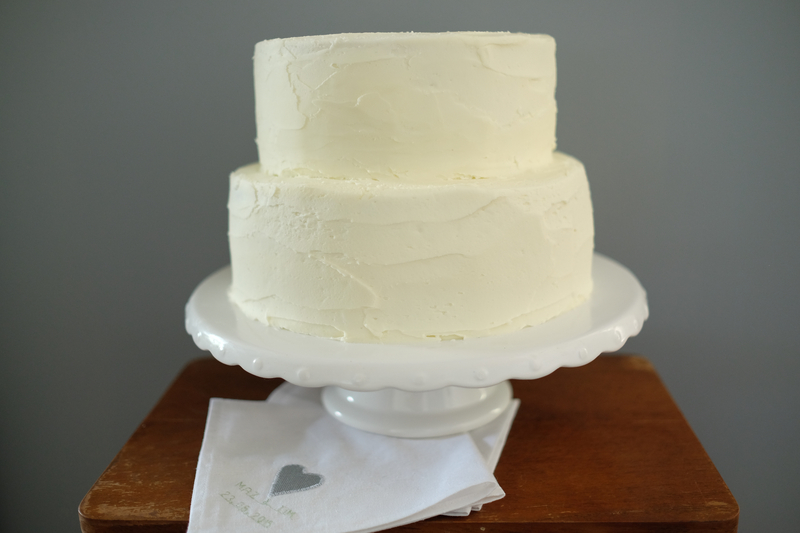 Not just for weddings, you could give for valentines, birthdays, etc. I went to North Carolina to meet my new niece Annabel recently and while we were there she had her Korean Baek-il (100th day birthday). So my sister and brother-in-law who had lived in Korea for a year, made a delicious Korean feast and I made a cake! 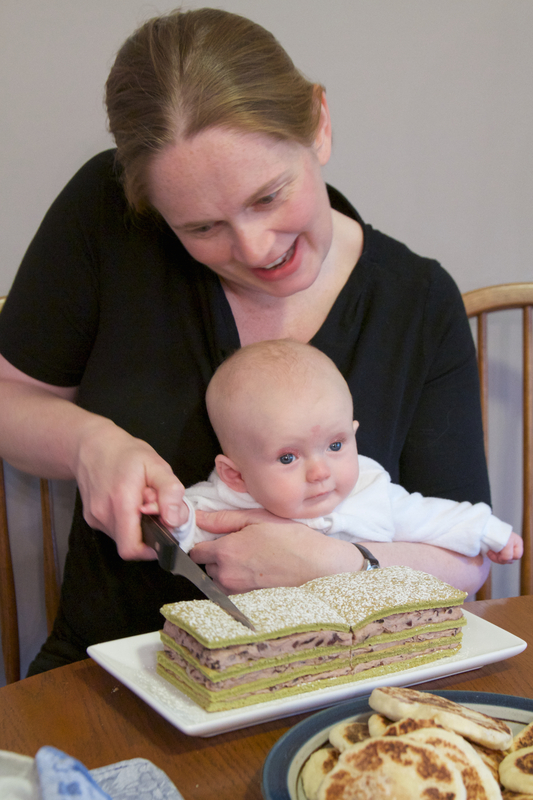 A classic Korean Matcha green tea sponge with sweet Adzuki bean filling. She also made some Hhodoek pancakes (think Game of Thrones!) 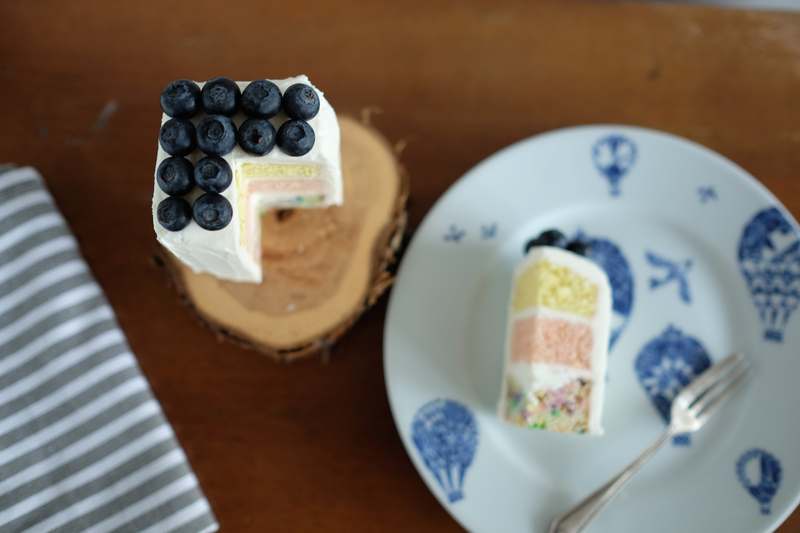 which were delicious and sweet. We all enjoyed the dessert and Annabel enjoyed her milk! Annabel and Abi cutting her 100 Day Birthday Cake. 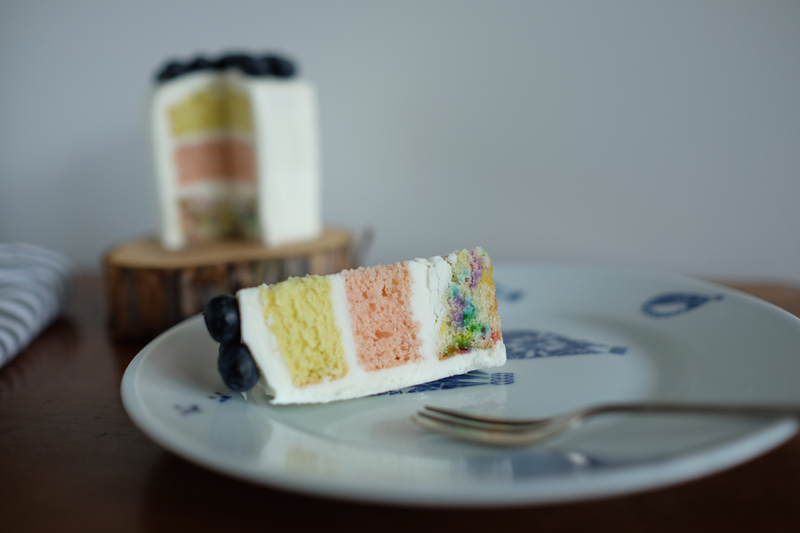 Green tea and red bean Cake. 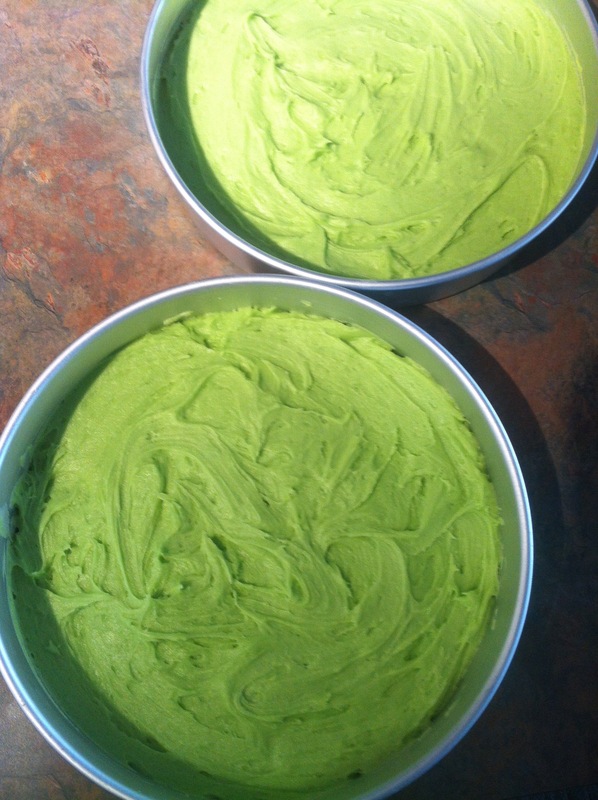 Matcha green tea sponge with sweet Adzuki bean filling. 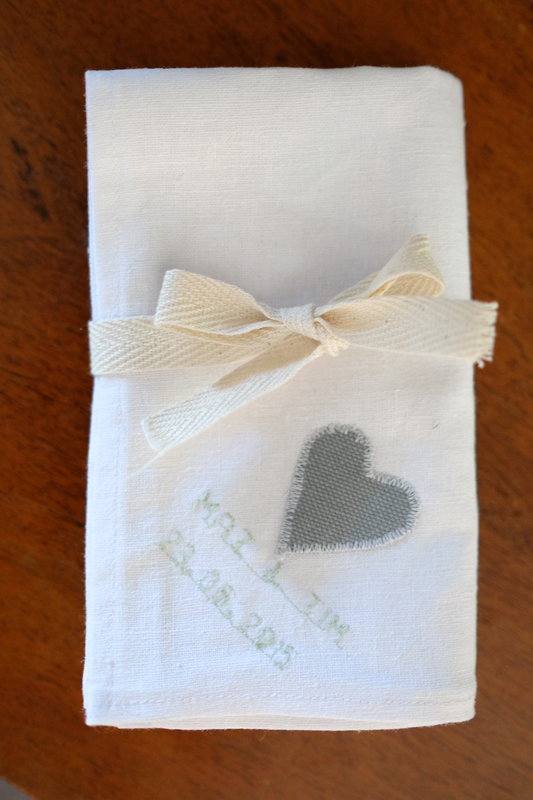 My friend Orladh had a new niece or nephew coming and want to send something special home. 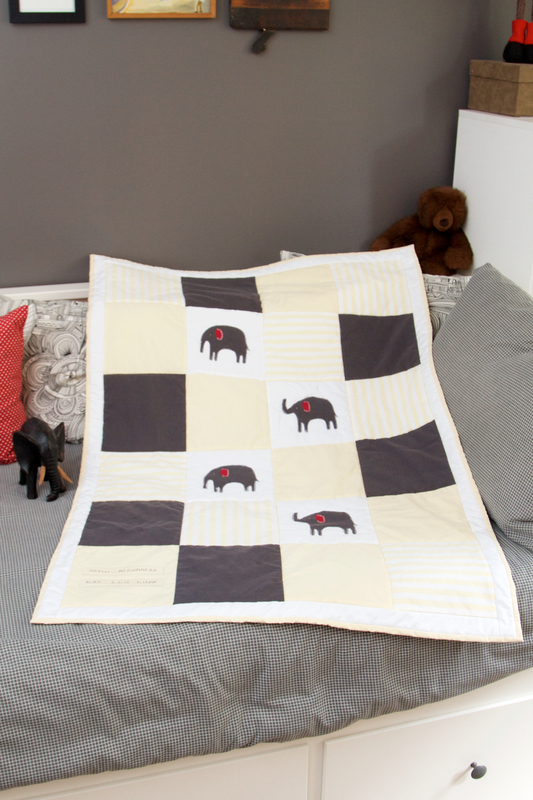 she really liked the elephant quilt but she decided to keep it neutral with yellow, grey and white and wanted to personalise it with the babies name, weight and date of birth. I decided to go with a plain white back to keep things simple. She were all very happy with the finished quilt which was sent back to the UK. Many of the products we buy have negative environmental impacts and I want to be a part of changing that. 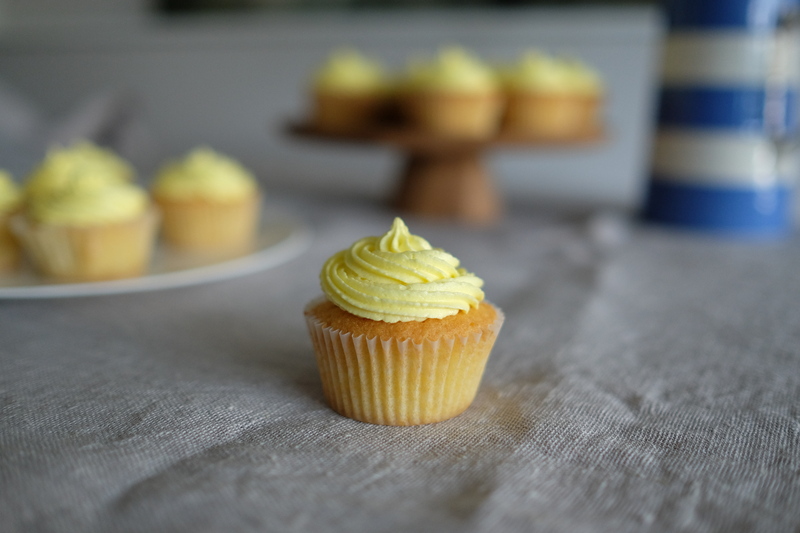 So I always look out for better options when making my products. In this quilt I used up-cycled fabrics and eco-friendly batting (the squiggly bit inside). I will be trying to use this as much as possible in my products. The finished quilt. 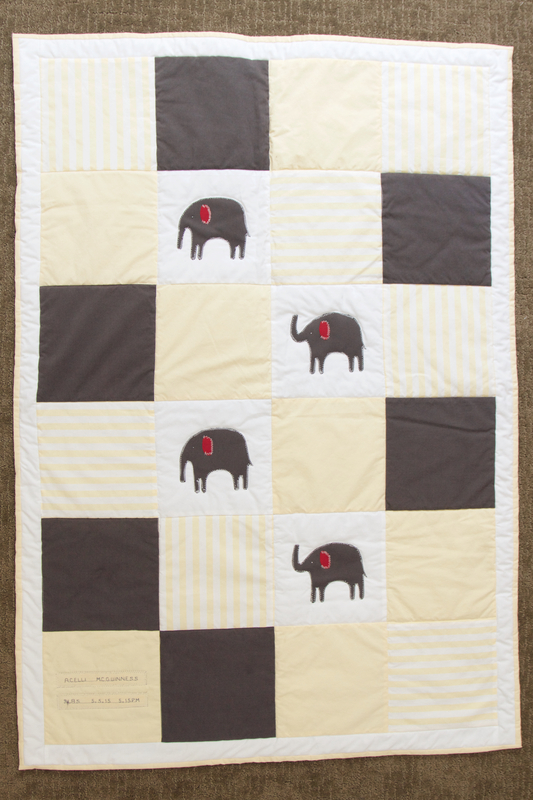 Yellow, white and grey elephant quilt with white and grey stitching. Made from up-cycled fabric. 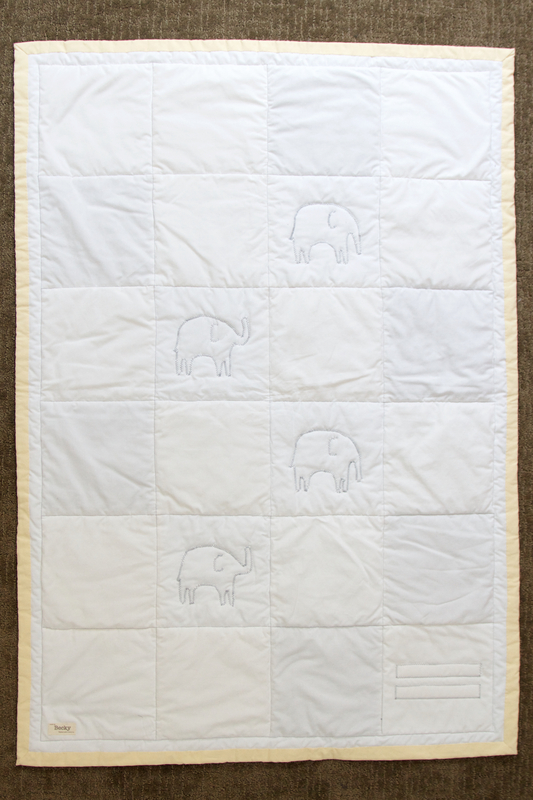 The back of the elephant quilt. White fabric with grey stitching. Made from up-cycled fabric. 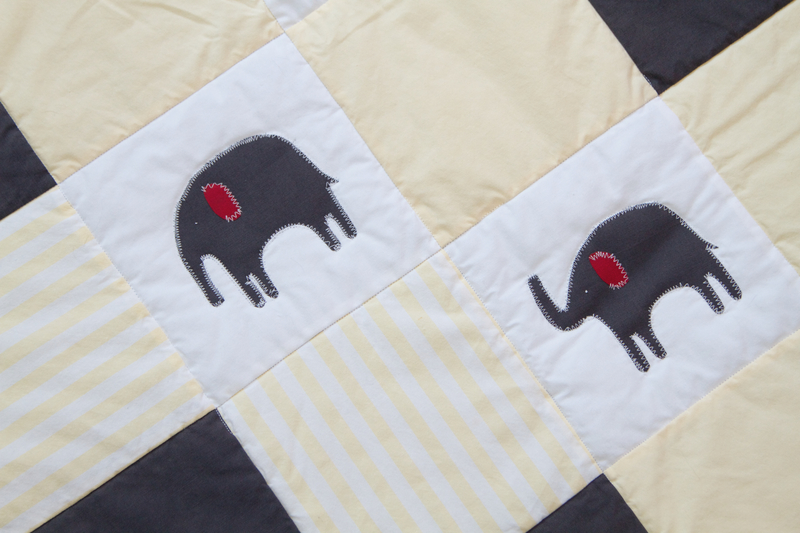 Close up of the 2 kinds of elephant details on the quilt. Yellow, white and grey elephant quilt. Made from up-cycled fabric. The front of the quilt. Yellow, white and grey elephant quilt with white stitching. Made from up-cycled fabric. 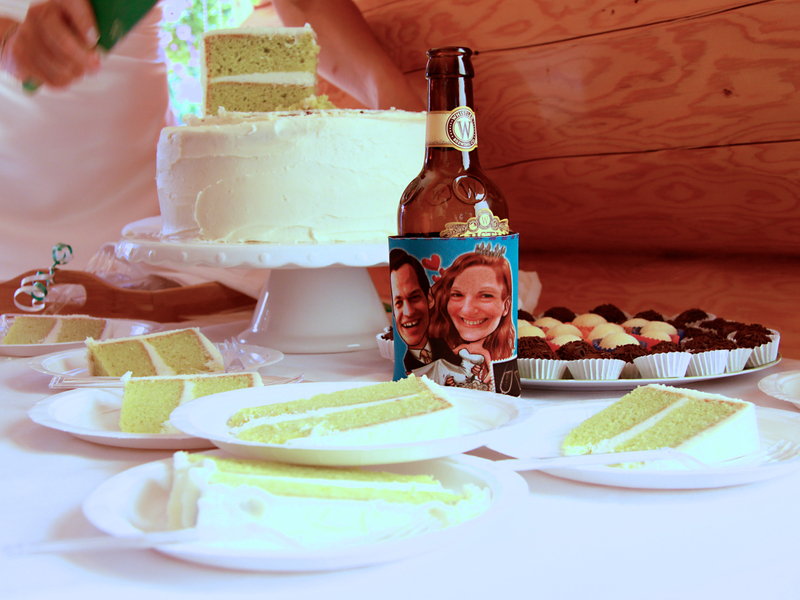 I have made this delicious cake two years running at the Coast Mountain Photography year end party as it is such a hit. 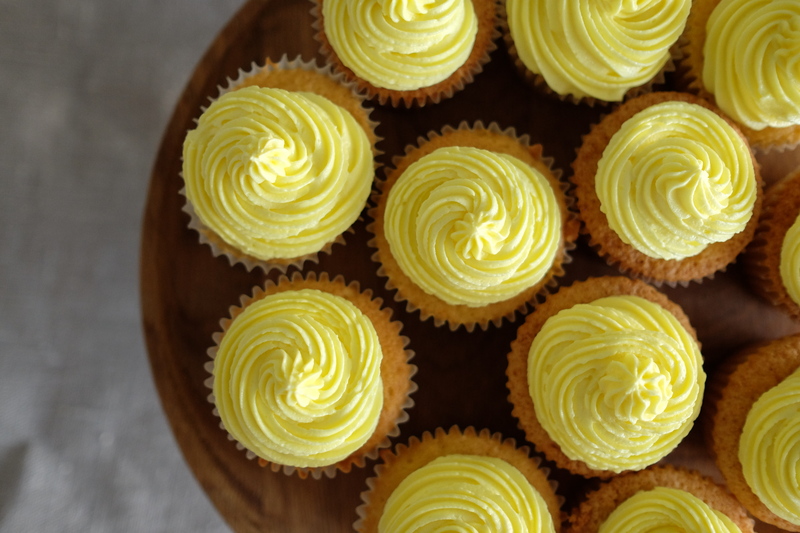 Coconut flavoured sponge with a lemon-vodka curd filling and lemon buttercream icing, covered in shredded coconut. 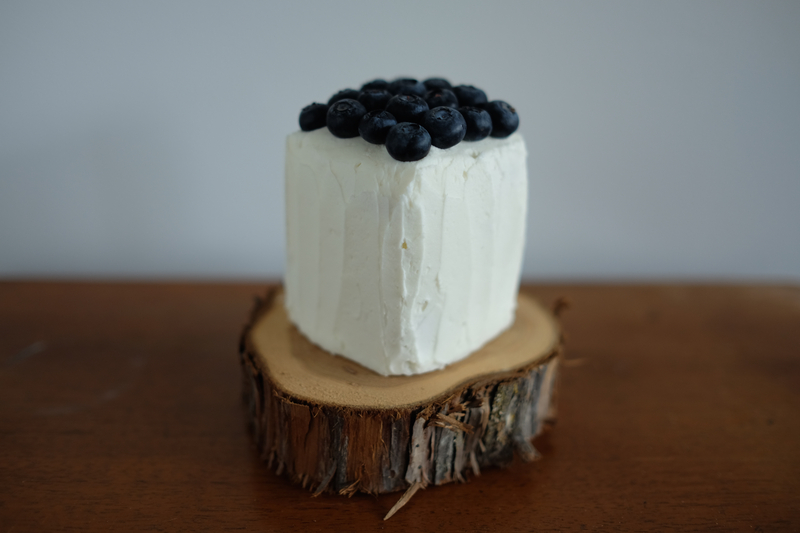 The recipe is from the BC Liquor Taste Magazine. 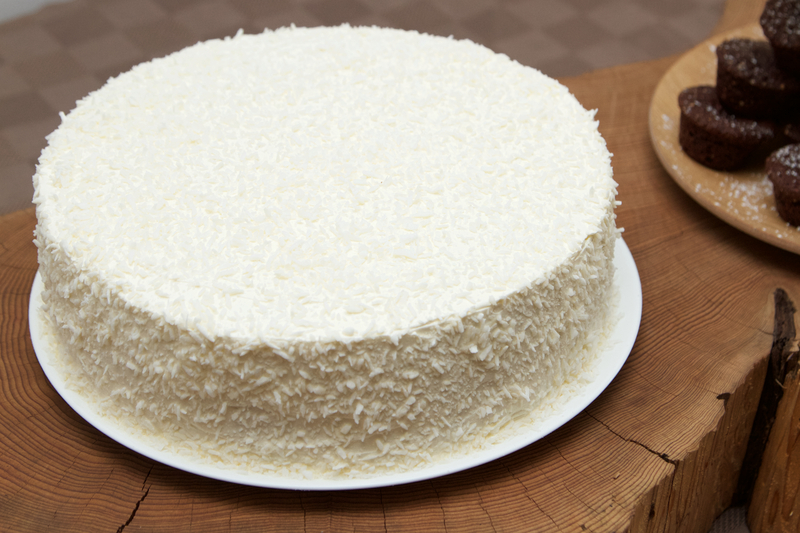 Coconut flavoured sponge with lemon-vodka curd filling and lemon buttercream icing, covered in shredded coconut.